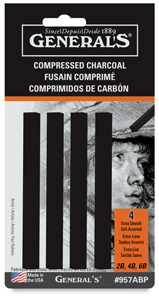 Not all charcoal drawing techniques need to be done with charcoal pencils or sticks. Beautiful effects can be achieved with charcoal powder or dust to accomplish beautiful effects. The three images above are a few examples from my charcoal collection that were created using charcoal powder and a cotton cloth. 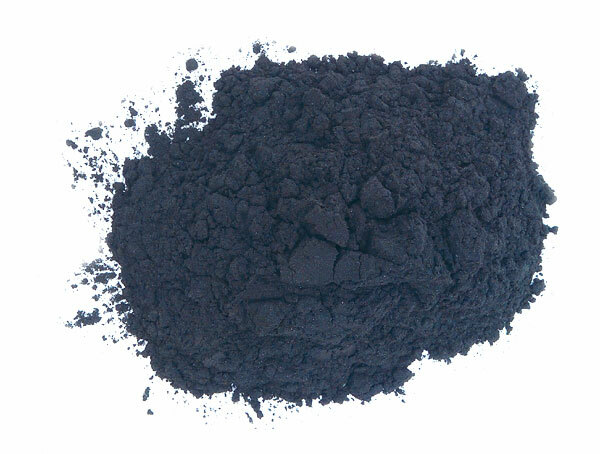 You want to make sure you have plenty of charcoal powder for your project. I sand my own compressed charcoal or natural graphite down to powder and store it in small, labeled containers. Now get out them old cotton tee shirts and cut them up into swatches. I cut mine about 6″ x 6″, but you can cut them to a size that is most comfortable for you to handle. Keep plenty of them on hand so you have a clean one when needed. Wrap the swatch of cotton cloth around the finger tip of the finger you want to apply with. 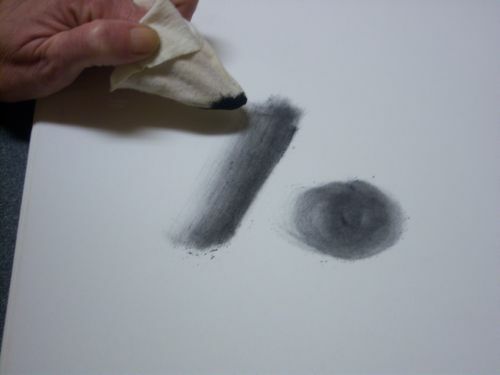 Dip the tip of your cloth covered finger tip into the charcoal or graphite powder. Apply to your work surface light or heavy depending on the contrast you are looking for. If you are not sure now much to apply, then apply lightly. You can always add more later. You will still be able to lift color out with a knead eraser for highlights no matter how dark you apply the charcoal dust/powder. 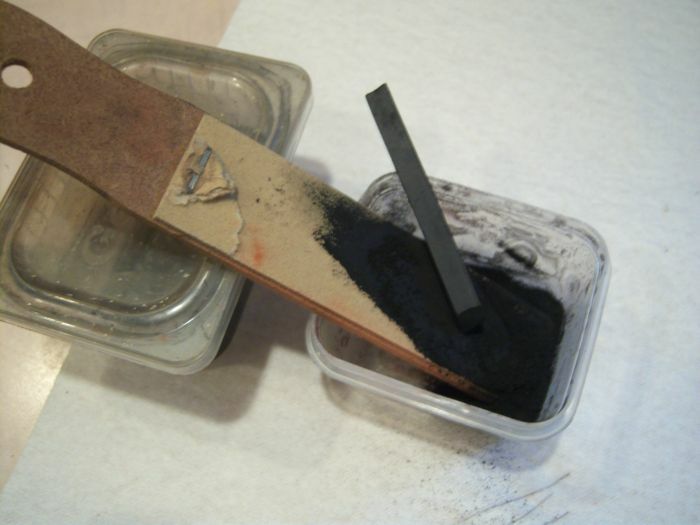 However, the darker the charcoal is the more limited you will be if you are trying to lift all the color out. To the right is another examples of the Cotton Cloth Technique. 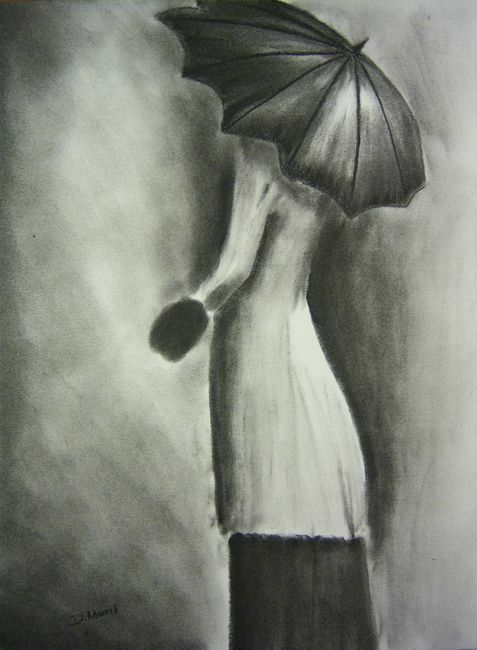 I drew in the general shape of the woman and her umbrella. Then I worked the charcoal powder within the shape of her, and around her with the cotton cloth technique. Practice applying the powder in different direction on samples of paper in different direction. Examples of that would be circular, up and down, or back and forth motions to name a few. You do not have to use this technique for your entire drawing, but just portion of it. You can still draw over the area you applied, or prior to the technique. © All images are my artworks and copy write material. They may not be copied. That’s lovely, I will try it someday! I’m sure you will enjoy trying it. You can get find you get some dramatic effets. I like it for the smooth finishes I can get, as well as the large area I can cover in a short period of time. Charcoal can be messy, but worth it. Excellent post Deb, you are so talented!!! I tried this techique on one of my Wombie drawings. What do you recommend for getting charchol dust off my monitor? Blow! Then wipe very gently with a damp cloth, repeat as needed. Finish off the cleaning job with with your favorite monitor cleaner. And keep that dust away from your PC because it gets inside just as smoke would.